It's (the other) Pete with a cool craft project that just about anyone can do. I wanted to write today about all of the cool stuff I do with my iPad, because I use it every single day. I realized, however, that sometimes I need a stylus to draw or write notes and a good stylus can be expensive. 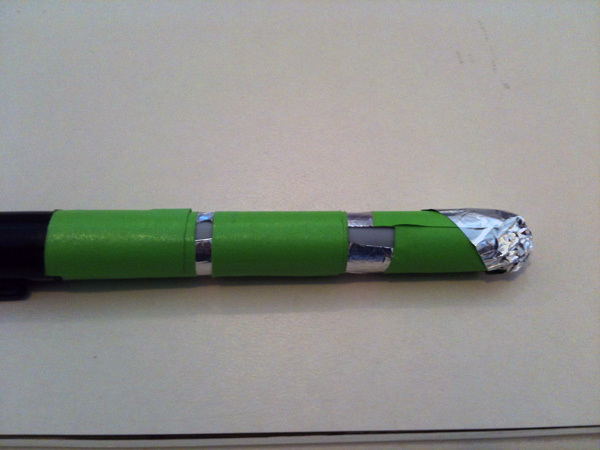 Sure, you *could* find a stylus for $5, but what happens when you lose it? I've lost several (unfortunately) which is why I create my own! 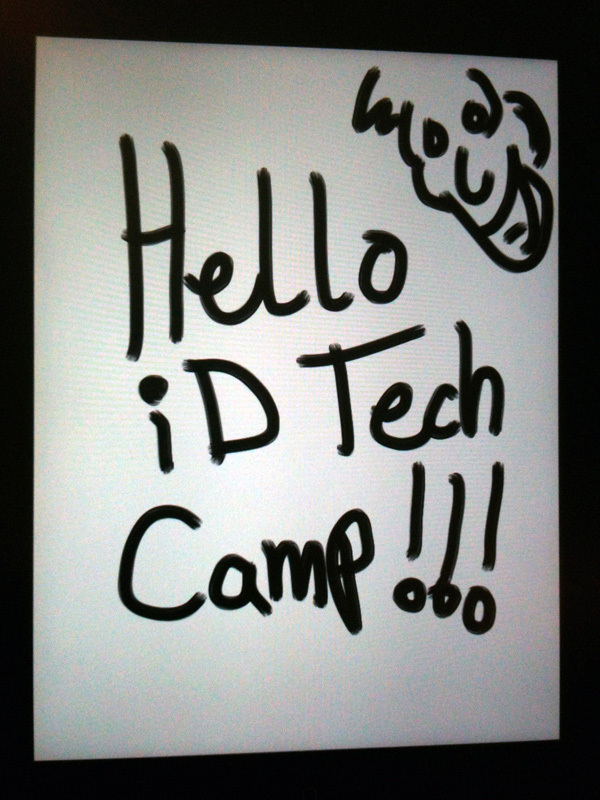 In the future, I'll share with you all of the applications I use on my iPad, but for now, let's create a stylus! 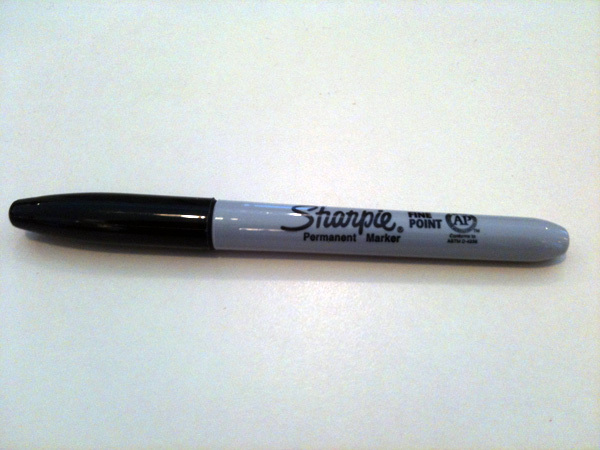 I like to use a Sharpie marker, because it has a good weight and thickness. You can use basically any pen or marker - be creative! 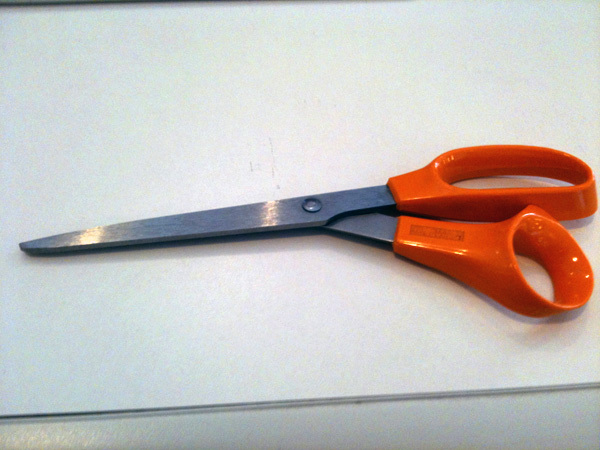 A good pair of scissors will help make everything nice and tidy. Tape will hold everything together. I used two types of tape - first, the iD green wall tape because I like the way it looks. 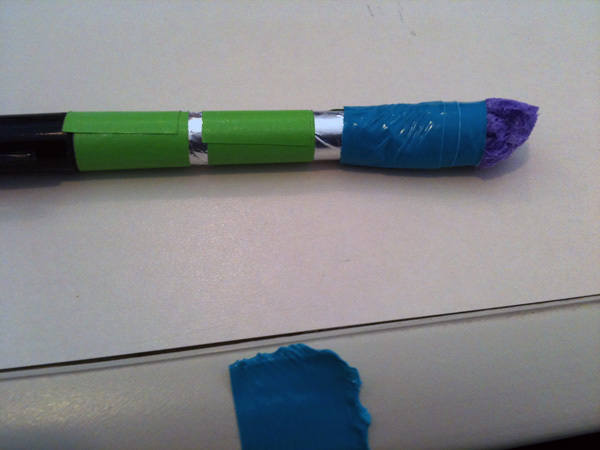 Unfortunately, that didn't stick well enough for the tip, so I included some colored duct tape. 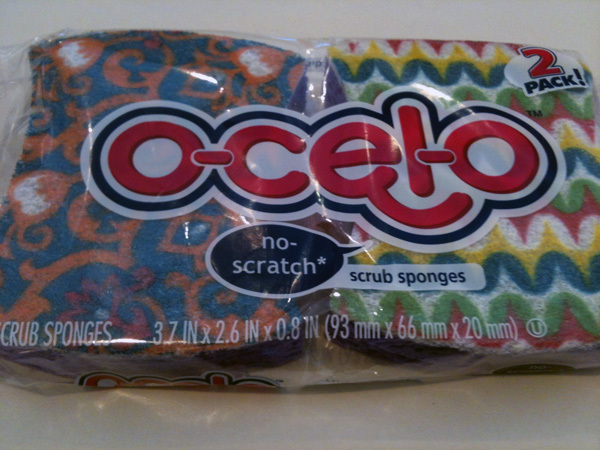 The most important ingredient is the 3M O-Cel-O sponge. 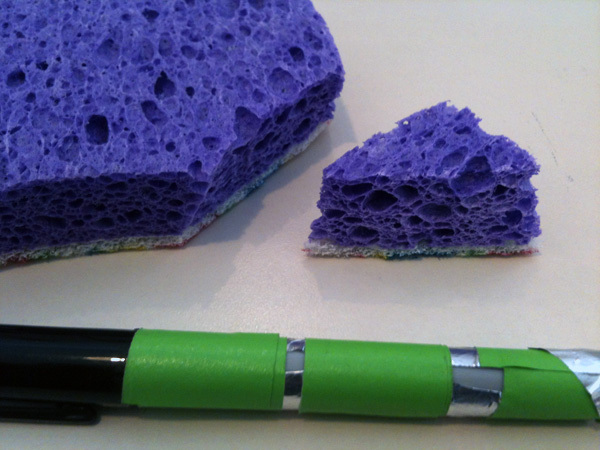 These sponges are conductive, which means that they will will work with any capacitive screen (like an iPad, iPhone or almost all multi-touch devices) as long as they are in contact with your finger. 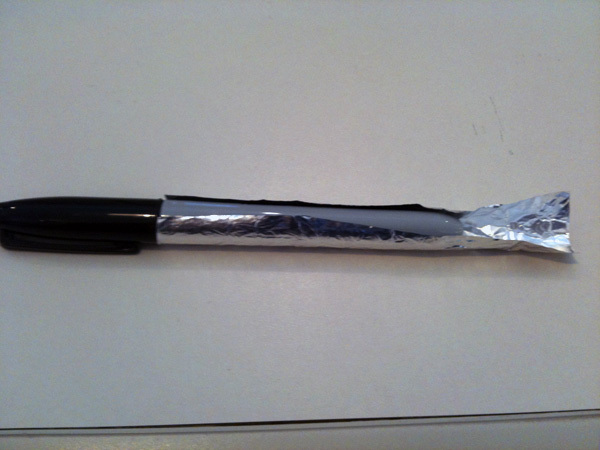 Step 1 - Wrap a small piece of foil around the marker. 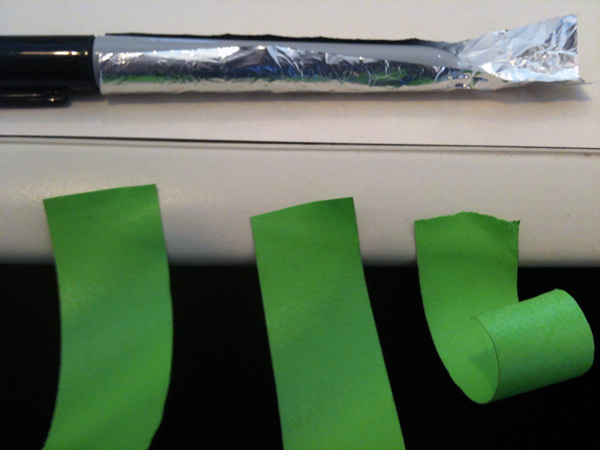 Leave room for the tape to have contact with the actual marker surface and leave a little additional foil hanging over the end. Step 2 - Cut three piece of tape about the same length. They should each be long enough to circle the marker at least once. 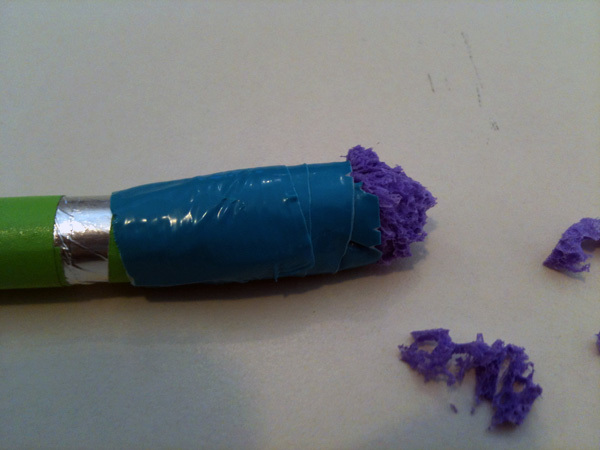 Step 3 - Starting at the end of the marker and make a tight wrap using the tape. Step 4 - Repeat with a second wrap slightly farther in. 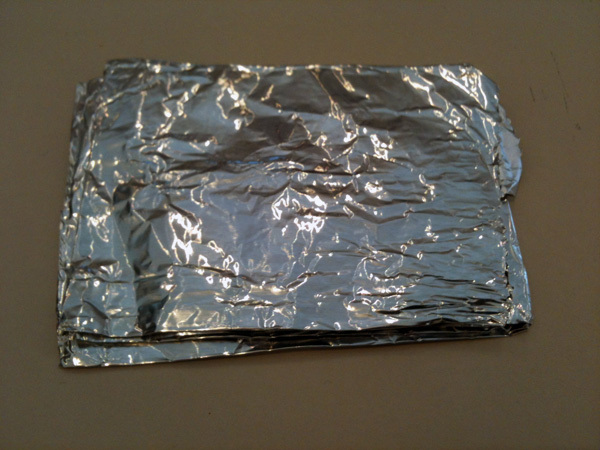 MAKE SURE that a little bit of the foil is exposed! Step 5 - Complete the wrap toward the top of the marker. Again, a little piece of foil needs to be exposed! 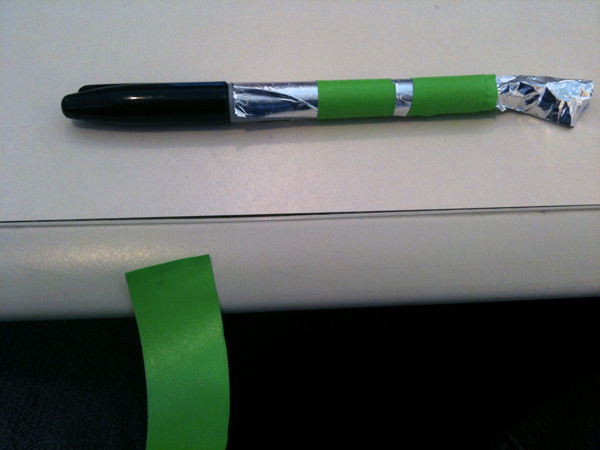 Step 6 - Crunch the extra foil around the back of the marker. 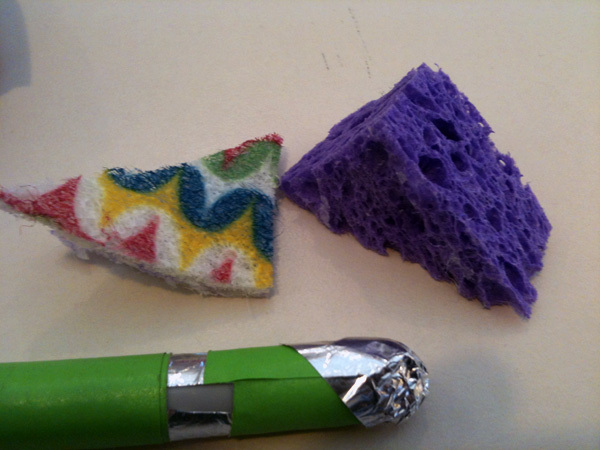 Step 7 - Cut out the corner of one of the sponges. The longest side should be about 2 - 3 inches long. 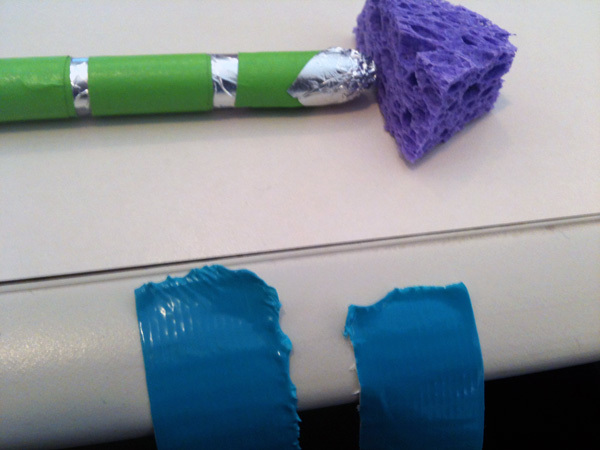 Step 8 - If the sponge has a back, remove it! 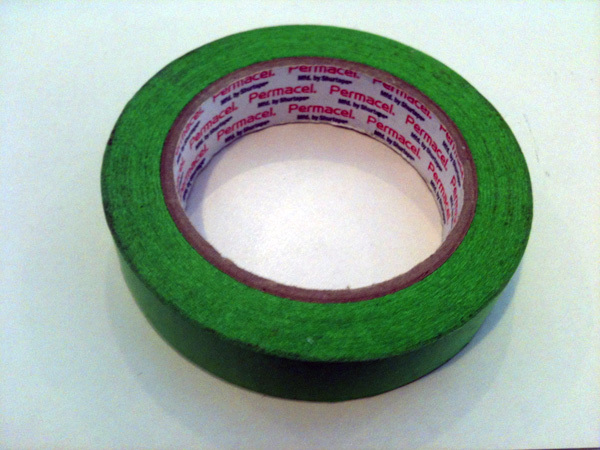 Step 10 - Get some heavy duty tape (like duct tape) because this is the hardest step!!! 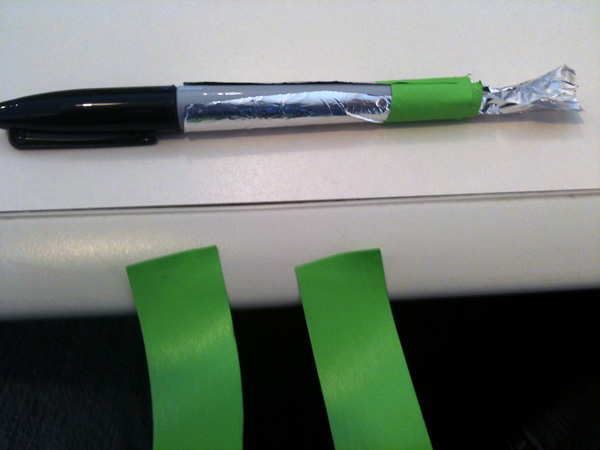 Step 11 - Cut a piece of tape so it will go around the marker at least twice. Rip the tape down the middle if it's wide (like duct tape). Step 12 - This is the hardest part - hold the sponge piece so the widest part of the triangle is sitting on the end of the marker. 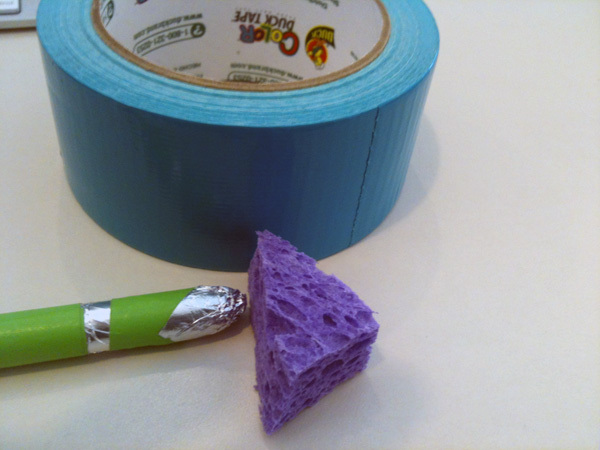 Squish the sponge down onto the marker (essentially covering two sides) and tightly wrap the duct tape around the sponge, working down the marker to the end of the first piece of tape - still not covering the foil! 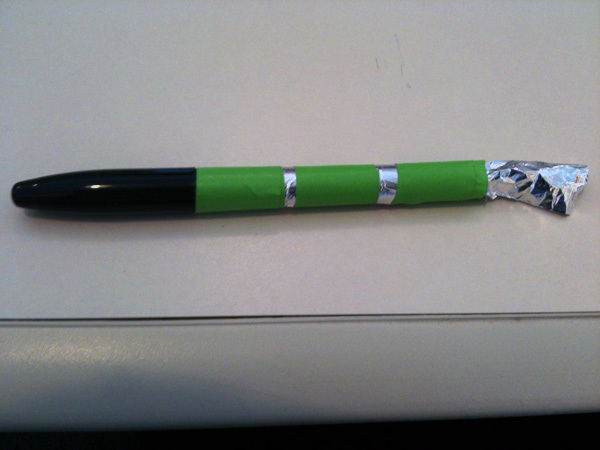 Step 14 - Give your stylus a little shape using the scissors - don't cut too much off! Just try to have a pronounced tip. Step 15 - Test it out! 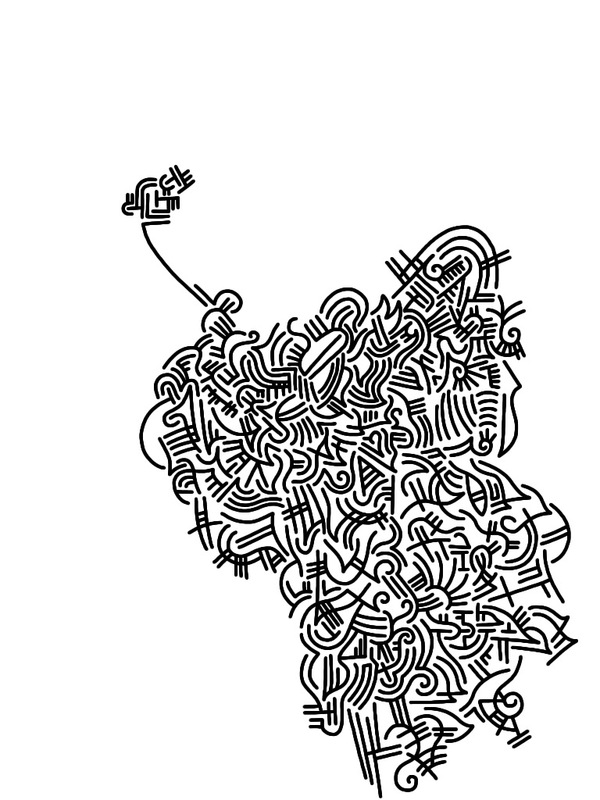 Step 16 - Doodle something cool!